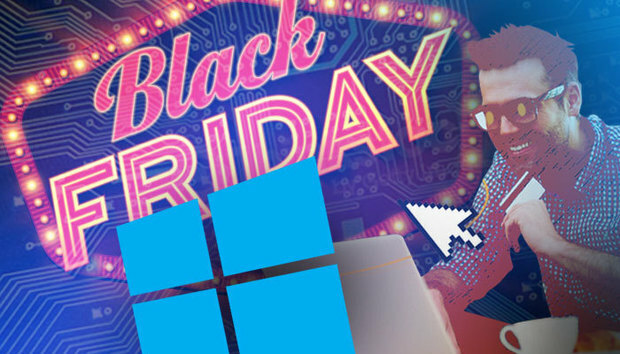 While Windows phone deals are not surprisingly few and far between for Black Friday 2016, plenty of other Microsoft Windows desktops and laptops, Surface tablets and Xbox gaming deals can be had this holiday shopping season. Come Nov. 25, and even earlier for Microsoft itself and retailers, here are some of the best deals around. The price on this 15.6-inch touchscreen laptop sinks from $750 to $400 on Nov. 24. The machine has an Intel Core i5-6200U processor, 8GB of memory, 1TB of storage and runs Windows 10 Home, 64-bit edition. This system boasts an Intel i7 CPU, 8GB of RAM, 1TB of storage and comes in at $450, or $400 off the usual price. Note that other HP systems from Office Depot/Office Max can also be had for $270 and $330 with less powerful processors. This versatile system is powered by an Intel Core i7 processor, has a 13.3-inch touchscreen, 8GB of memory and 256GB of storage. Regularly priced at $1,200, you can get it this holiday season for $700 at Best Buy. This Windows 10 systemf with a 15.6-inch display is reduced from $430 to $270 for Black Friday, and includes a quad-core AMD A8 processor, 6GB of RAM and 500GB of storage. This 15-inch touch-optional Windows 10 laptop is powered by an Intel i7 processor, has 6GB of RAM and 1TB of storage. Regularly priced at $830, HP is selling it for $600 starting on Thanksgiving Day. This Windows 10 Home 64 gaming system, marked down from $1,800 to $1,300, cranks via an Intel Core i7-6700 CPU (four cores), an NVIDIA GeForce GTX 1070 graphics card, 8MB shared cache, 16GB of memory and 1TB of storage. This 12-inch touch display tablet/laptop combo usually starts at more than $2,000, but the price has been slashed nearly in half for HP’s Black Friday sale. The system runs Windows 10 Pro 64 and boasts a 6th generation Intel Core m processor and Intel HD Graphics 515 processor. It has 4GB of memory and 180GB of storage. Dell is marking down this flexible laptop/tablet from $350 to $200 online for Black Friday. The machine, which weighs in at just over 3 pounds, boasts Windows 10 Home, 4GB of RAM and a 500GB hard drive. Lop $220 off the price of this bundle to come in at $500 for the package. The machine boasts 1TB of storage, 8GB of memory and an Intel Core i7 processor. This Windows 10 laptop/tablet combo has 32GB of storage and is powered by an Intel Tablet Atom Z3735F quad-core processor. Black Friday starts at 6pm on Thanksgiving day at Walmart stores and all-day online on Nov. 24. This compact desktop will run you just $100, half off of Dell’s usual price (though we’ve seen it listed for as much as $350 too). The machine runs Windows 10 Home, has 4GB of memory and a 1TB hard drive. It’s powered by a 6th generation Intel Core i36100 processor. This system with Windows 10 Home, 4GB of RAM, 32GB hard drive and an AMD E2-7110 processor can be had for $180 ($40 suggested manufacturer’s retail price). Boasts an Intel Core i5 6200U (2.30GHz) processor, 8GB of RAM, 128 GB SSD and 1TB HDD. It runs Windows 10. Microsoft on 11/24 (Thanksgiving Day) cuts the price of this tablet from $1,900 to $1,500. It's powered by an Intel 6th generation i5 processor and has 8GB of RAM. The touchscreen display is 13.5 inches in size and the machine runs Windows 10 Pro. You can get this Windows tablet with a 12.3-inch screen, signature type cover and Intel Core m3 processor for $600 ($400 off). Note that the pen is sold separately. This high-end tablet is going for $800 at Staples on Black Friday, down from the usual price of $1,000. This Intel Core i5 processor-powered tablet has a 12.3-inch display and runs Windows 10. It includes 4GB of RAM and 128GB of storage. Keep in mind that while this tablet comes with a Surface Pen, it doesn’t include a detachable keyboard – that’ll run you another $100 or so. 12.3-inch tablet powered by Intel Core i5 processor, with 4GB of RAM, 128GB hard drive and Windows 10 software. Includes the Surface Pen, but type cover sold separately. Marked down from $1,000 to $800. Warning that the device is not available in most stores, so would likely need to be an online purchase. While Xbox One bundles are generally going for $250 this holiday shopping season ($50 off retail), Kohl’s kicks in another $75 in Kohl’s cash to be spent later on. Deal starts Nov. 21 and lasts until 1pm on Friday Nov. 25, in stores and online, while supplies last. This package will go for $250 ($50 off), plus exclusive blue console and controllers available (Microsoft has actually branched out beyond black and white systems with a variety of limited edition colors). GameStop isn’t open on Thanksgiving Day, but its deals are expected to be available at least by then online. The store is offering 50% off the usual 3-month Microsoft Xbox Gold Membership card, listed at $25.